I'm back with our new challenge for this week at Fab'n'Funky Challenges. We're on our Summer break during this challenge, to give the DT girls some much needed time off when we have holidays and kids and sun (!) and everything Summer is going on. We will be taking a commenting break during this time. Our challenge will last for 3 weeks, so you have until 6th September to enter the challenge! 3 digis to our winner. For my card this week I have used the image "City Star" such a cute Christmas image! The image is coloured with Copic Markers. I love KennyK images - especially the faces and expressions - fantastic to colour! 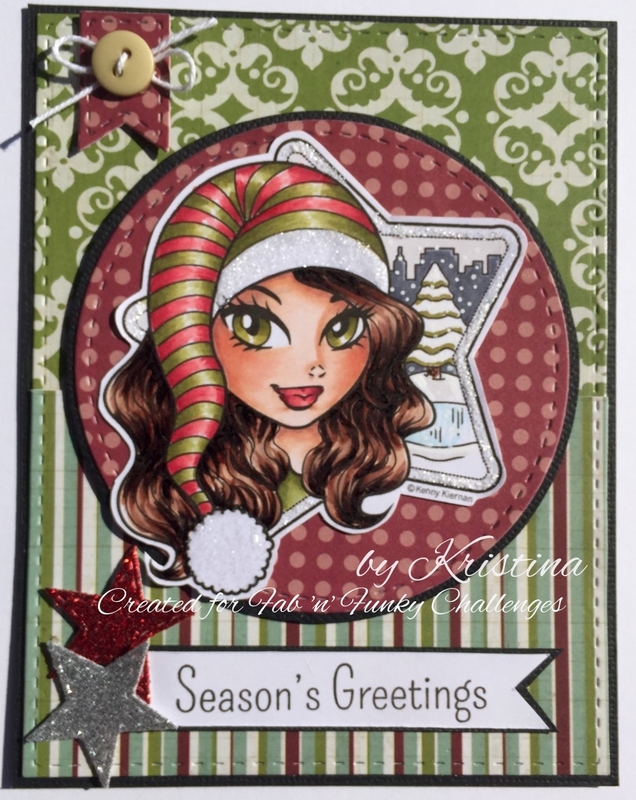 I have teamed the image up with some patterned paper from Lilybeedesigns - Jingle. The sentiment is from Simon Says Stamp. We hope you are able to join us in our challenge. We look forward to visiting your blogs and seeing your gorgeous creations. Please be sure to post a link back to Fab'n'Funky Challenges in your blog post in order to be eligible for this week's fab prize! The deadline for entries is Tuesday evening (8 pm GMT ) to be eligible for a prize. your entry to the linky at the bottom of the page at the Fab 'n' Funky blog. Hope you have a chance to join us. 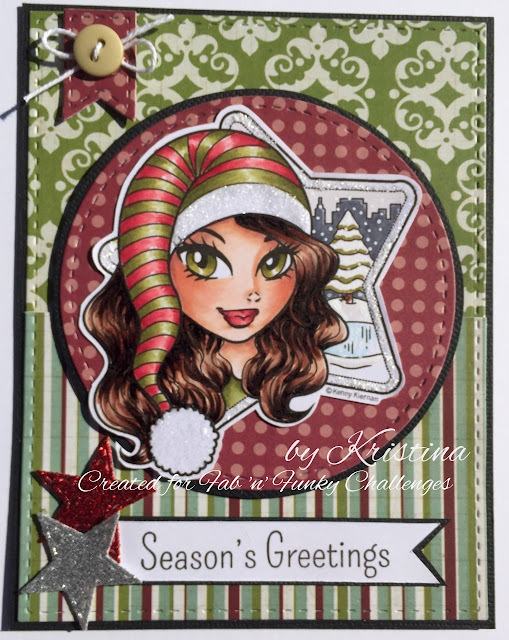 Scrap n' Challenge - August Challenge.